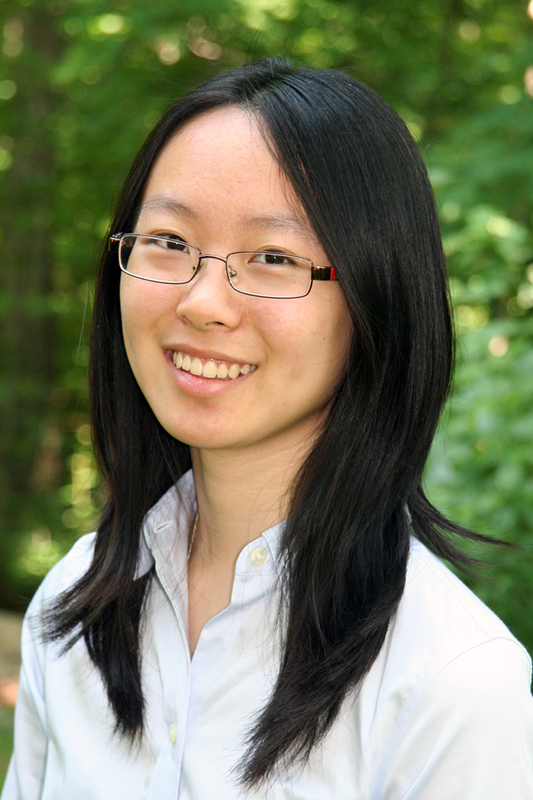 Yawei (Jenn) Ge is a second year MD/PhD student in the Harvard-MIT Health Sciences and Technology (HST) program who maintains her love of art in the midst of a demanding course load. thirdspace published her painting, The Human Form, in September 2014. Pablo Picasso said that "every child is an artist; the problem is how to remain an artist once he grows up.” How did you remain an artist despite growing up? I have been drawing for as long as I can remember, and growing up, I was really lucky to have parents and grandparents who, despite not being artists themselves, really encouraged my interest. My grandmother helped raise me for a few years when I was little, and I remember she used to take me to different places to draw the landscapes. When I got older, my parents arranged for me to take private art lessons. What type of media did you use? I tried all sorts of things – from pencil drawing to Chinese painting, watercolors to digital art. In my high school art classes I started painting sets for theater productions and doing art for community service projects. My high school actually let me help design and paint two murals there. Is it important to you to continue practicing your art during med school? Certainly. When you are on a path that is as demanding as medical education, it is so important to protect time for yourself -- to keep up with your hobbies, to relax, to exercise your mind in a different way. That being said, art, medicine, and science aren't so separate. You need creativity and open-mindedness for all three. You are in a very demanding HST program. How do you fit art into your schedule? Not very well! I am definitely grateful for any opportunities that I get to integrate art with med school, whether it's for something very meaningful like the Anatomical Donors Memorial Service or for something silly like Society Olympics. thirdspace published your beautiful painting, The Human Form. Can you tell our readers how the painting came about? I created the painting last February as a first-year medical student for a memorial service that honors the donors who gave their bodies for our anatomy course. I loved learning about human anatomy, and I greatly benefited from my time in the gross anatomy lab. I wanted to do something to recognize the incredible gift that I had received from my donor. After seeing how all the parts fit together so exquisitely, I wanted to capture that grace and beauty in my representation of the human body. How did you decide which figures you would paint? I chose the ballerina because I think it's the epitome of the human form, where the body is tested and stretched to achieve all its capabilities. It's also a melding of art and science, going from the abstract and stylistic representations of the body to the concrete anatomical forms. What do you do with the art that you make? More and more in recent years, I have been tending to give it away. The Human Form was gifted to the Anatomical Donors Program at Harvard Medical School on behalf of my class, class of 2017. It now hangs in the Tosteson Medical Education Center at the entrance to the gross anatomy labs. I like that my pieces have meaning and true stories behind them. Presenting someone with a piece that you made just for them is one of the most special things you can do. It sort of serves as a testament to the nature of your relationship. Are you currently working on any art projects? Interestingly, I am being commissioned to do sort of a sequel to The Human Form. I don't want to give away too much, but the concept was pitched to me as "a bro version" of the painting. I'll just leave that as a teaser. It will certainly be a very fun post-boards project! What is your advice to physicians in training who would like to exercise their artistic talent? Anyone can paint. Art is subjective. That's what makes it art.